Recommended Post Natal Massage Home Service for New Mothers with Slimming Benefits. 2019 Post Natal Massage Promotion Deals from $680 ! Masseur Rest days: Sundays, public holidays and 4 Feb to 10 Feb 2019. Effective Result After Post Natal Massage 8th Session. Post natal massage home service is a tailored postnatal care for mother to adjust and recover from childbirth after delivery. Traditional massage treatment such as Javanese or Jamu post natal massage is heralded by many new mothers for its pain relieving, stress reduction and health benefits. However, to pamper mothers even further, mothers can enjoy a fusion of Jamu and Chinese massage. Instead of using traditional herbs, we replace it with ginger oil and creams due to the smell. Our masseur focus on body’s meridian and hand techniques to enhance mother’s experience during the massage session. It is followed by binding after the session. Regular massage sessions during postpartum period not only assists mother cope with physical and mental stress but also provide body care slimming benefits. We understand the woes of new mothers during pregnancy as well as other complications related to giving birth such as postnatal depression and the desire to get back to prenatal shape. Unarguably, a newborn baby brings untold joy to the mother and family. However, the nine month prenatal period may have profound effects on mother’s overall health especially after normal delivery, cesarean or C-section. This is because the mother’s body undergoes tremendous changes as it readjusts and adapts to carrying the child in the womb up until the point of its delivery. Thus, as the mother recuperates from child birth, her body undergoes a period of “stress”, or trauma, as it tries to readjust back to normalcy. You may want to consult professional help on the importance of postnatal care at spa centre or certified massage therapist on their most recommended post natal massage package deals. Every mother deserves to be pampered with a good postnatal home massage, agree? Physical and mental stress during postnatal period are often experienced and causes a lot of strains on mothers. You are not alone if you have these woes. Similar to pre natal or pregnancy massage, attentive postnatal care and correct massage techniques are necessary to help new mothers adjust to motherhood. It is important to dispel the wind in the tummy during postpartum as it can lead to mothers having bloated stomach permanently if not treated properly. Duration: Approximately 90 mins including cloth binding and customer’s body condition. * Quoted rates includes transport cost (Singapore Mainland) and essential items such as post natal massage oil, cloth binder. * Surcharge of $35 per trip applicable for postnatal massage service at Sentosa Island. * Please prepare mattress and 2 big towels. Otherwise $30 is applicable if you require us to prepare towels. * Non-refundable $300 deposit or full payment is required to confirm the service. Balance is payable before first day of service via bank transfer. *There will be no massage sessions from 4 Feb to 10 Feb due to CNY rest days for our masseurs. When to start post natal massage? Normal Delivery : 5 days after childbirth. C-section Delivery : 3 weeks to 1 month after childbirth with advice from your gynae. Premature Delivery : Same as normal delivery or C-section. As each session takes about 90 mins, do ensure someone in your family or the confinement nanny is able to look after your newborn baby during the therapy time. Bathe before every postnatal home massage session. For faster recovery of pre-pregnancy figure, use a girdle after the wrap is removed. Buy the girdle 1 size smaller so that the girdle will not be too loose when you have lost weight. Enjoy the best post natal massage in Singapore and get back in shape at the comfort of your own home. Instead of malay post natal massage or Jamu massage, how about fusion of Jamu with Chinese massage? We focus on our body’s meridian, hand techniques and binding which is one of the most popular post natal massage techniques in tightening stomach muscles with a wrap. No herbs is used due to the smell which we replace with ginger oil and cream. The postnatal Jamu massage involves a binding at the end of the massage session for effective slimming effects. A long strip of cloth or cloth binder will be used to go around the tummy tightly. 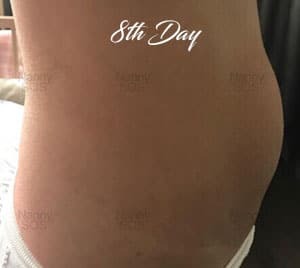 This traditional postpartum belly binding technique is also commonly known as Bengkung wrap which can help mum to attain the perfect body shape similar to that which they had prior to giving birth. Save the hassles and traveling time as our certified massage therapists will come over to your home during your confinement period. New mothers who have been through normal delivery can indulge yourself in post-natal massage therapy 5 days after childbirth. Mothers who have had caesarean or C-section are advised to wait until your wound is healed with your gynae’s approval before beginning the massage treatment. 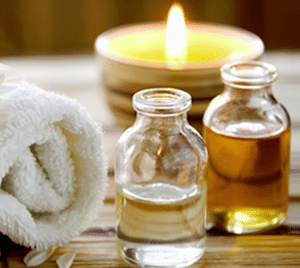 Massage encourages the body to relax and release endorphins, which is our natural pain killers. Similar to prenatal massage therapy during pregnancy, a relaxing post natal massage helps to provide psychological, emotional and physical relaxation. Instead of traditional javanese massage or jamu massage, our healing practice combines Jamu with beneficial Chinese massage techniques focusing on the meridians, binding and activities to meet the individual requirement of the patient. Ginger oil and cream is used to replace the traditional herbs due to the smell. Alleviate neck, shoulder, back pain and sore spots. Cleared ducts with improved breast feeding. Improve hormone regulation and postnatal depression. Reduce swelling and aids tummy recovery. Helps to shrink and push uterus back to its original size. Improve headaches and migraine conditions. Yes. Our therapists are experienced, certified and well trained to take care of your well being. I have caesarian delivery. How soon or when to start post natal massage sessions? Please seek your gynecologists’ approval as it is not desirable to aggravate the wound. As a guide for post natal massage after cesarean, you can start from 3 weeks to 1 month depending on your wound and gynecologists’ advice. Can I have female massage therapists for my sessions? Yes. All our therapists for post-natal massage sessions are female. You have to prepare mattress, 2 large towels for your massage sessions. Is there a time limit for the post natal massage packages? In order to achieve the maximum effectiveness, we would recommend each massage session to be scheduled in consecutive days. Want to book a post natal massage session or have enquiries? Contact Us with the form below. Lost 4 inches after my 5 sessions! How I wish I have taken this massage for my first pregnancy too! From friend’s recommendation. She says the massage therapist very good so i sign up. I’m glad i did! So relax and rejuvenating after every session! Thank you! Yes i enjoy every session! Thank you very much! Very convenient for me to have post natal massage done at home so I no need to rush back home every time. Very convenient service! Instead of going to usual spa in future, i will engage your service again for my massage. Thank you!